Cupped leaves are a sign of potential damage from pesticide drift. Harvest Public Media’s Madelyn Beck looks at pesticide drift. There are the several lawsuits over dicamba, a pesticide that for a couple of years has been drifting into unwanted territory, killing crops like soybeans and pitting neighbor against neighbor. In early August, a jury in California blamed the main ingredient in Monsanto pesticide Roundup, glyphosate, for causing terminal cancer, awarding the sick man $289 million and opening the door for similar lawsuits. Monsanto said it will file and appeal. And a pesticide called chlorpyrifos, mostly used on crops, was at the center of yet another major legal battle this summer. Some evidence shows it could hurt children’s mental development, but the Environmental Protection Agency delayed a ban of the popular pesticide under former Administrator Scott Pruitt. The EPA was sued, and of the agency’s arguments seemingly frustrated judges of the 9th Circuit Court of Appeals. “How long can EPA sit on this?” federal Judge Jacqueline Nguyen asked at a hearing. On Aug. 9, Nguyen and the other 9th Circuit judges ordered the pesticide be banned. Nine states including California mandate buffer zones for certain pesticides near schools and waterways. In much of the Midwest, state-mandated buffer zones don’t exist. But pesticide labels, which are regulated by federal agencies, often do have certain setbacks. Some people who live next to Midwestern crop fields say they’re worried about what’s being sprayed. 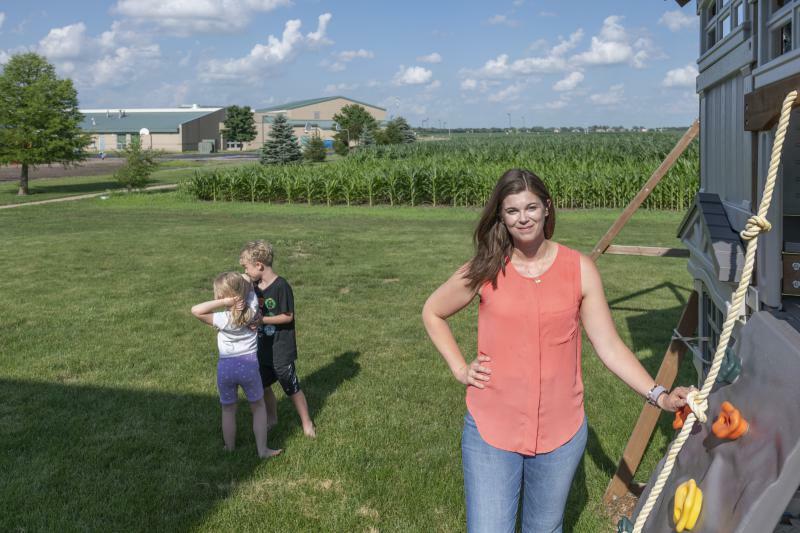 “Yeah, I would be interested if there are issues or health concerns,” said Laura Whetherell, who has three kids and lives next to a cornfield in Champaign, Illinois. 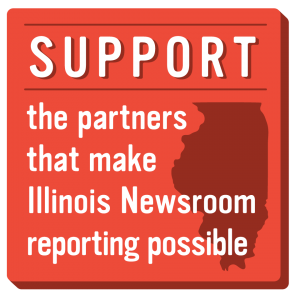 The Midwest Center for Investigative Reporting put an air sampler outside her house and five other locations in eastern Illinois to find out which pesticides might be drifting onto houses, playgrounds and schools. Bismarck-Henning school Superintendent Scott Watson agreed to host one at a junior high/high school in Bismarck, about an hour northeast of Champaign. He’s interested to find out the initial results, which won’t likely be available for three or four weeks, but says pesticide drift isn’t something he usually thinks about. There is a lot of research in the works about the health effects of pesticides, including through the Agriculture Health Study. But it can take decades to reach conclusions, though, especially when it comes to cancer. And even when groups like AHS publish findings, like one that found that Roundup likely doesn’t cause cancer, it often fosters more debates. The University of Iowa is a leader in researching pesticide drift. Many of the pesticides notorious for drifting in Iowa, like acetochlor, are either classified as “probable carcinogens” by the EPA or have too few health studies to know for sure, according to Jenna Gibbs. She’s a drift researcher and research coordinator at the university’s College of Public Health. “But we do know that all of them are pretty irritating compounds. They’re irritating to the respiratory system and to the skin and to the eyes” at higher levels, she said. Direct exposure is the biggest concern, which is why large-scale pesticide applicators wear heaps of protective equipment and have to get a license to spray. 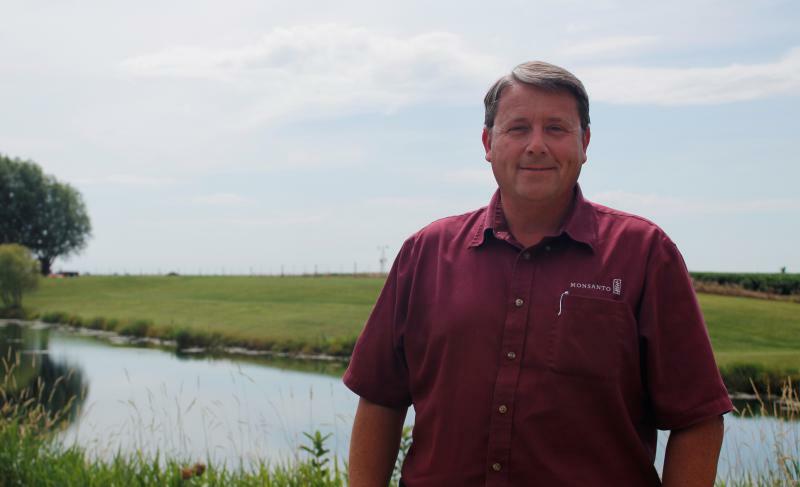 Troy Coziahr, manager of Monsanto’s Learning Center in western Illinois, said people who apply pesticides should adhere to that label so they can take into account wind speed, the height from which the pesticide is dropped and the type of nozzle used to spray. “You know on a windy day, try to throw a ping-pong ball at somebody and it blows away pretty easy. Well you can toss a basketball right to them. It’s the same concept with spray droplets,” he said. Small droplets or high winds can throw pesticides off course. But if some drifts into a yard, Coziahr says it breaks down pretty quickly by design, and small doses are less toxic than chemicals found around the home. “You know, the caffeine in a cup of coffee and those types of things are actually a lot more toxic than most of these herbicides and things like that are,” he said. But preliminary findings showed that the levels weren’t “ high enough to be a concern,” she said. But the sensors weren’t out during the summer, when potentially more-toxic pesticides used to kill insects are often sprayed from planes. Gibbs said she’s not “anti-pesticides,” and even uses things like Roundup on her own farmland. She said she understands the struggles of balancing the need to get rid of weeds and keep neighbors safe, but more research needs to be done into the reasons why and when pesticides drift and the risks that come along with that. New technologies could help with better air monitoring, pesticides and, possibly, robots. “The more we rely on robots and drones, maybe we have some device that can go out and target really, really close and spray only specific areas,” she said. The future is nearly here: Companies are working on a Roundup replacement, even if that may be a challenge because of higher bars for health testing and Roundup’s ability to stay on plants without often seeping into soils or the air. U.S. farmers were already using less of chlorpyrifos, knowing that the EPA may eventually ban the substance. And Reuters reported that those robots are already hitting the fields overseas, honing the sprayers to make sure little jets of pesticide hit their mark. This story was updated on Aug. 9, 2018, to reflect the 9th Circuit Court’s ruling on chlorpyrifos and on Aug. 13, 2018, for the glyphosate ruling.